These are simply gorgeous! 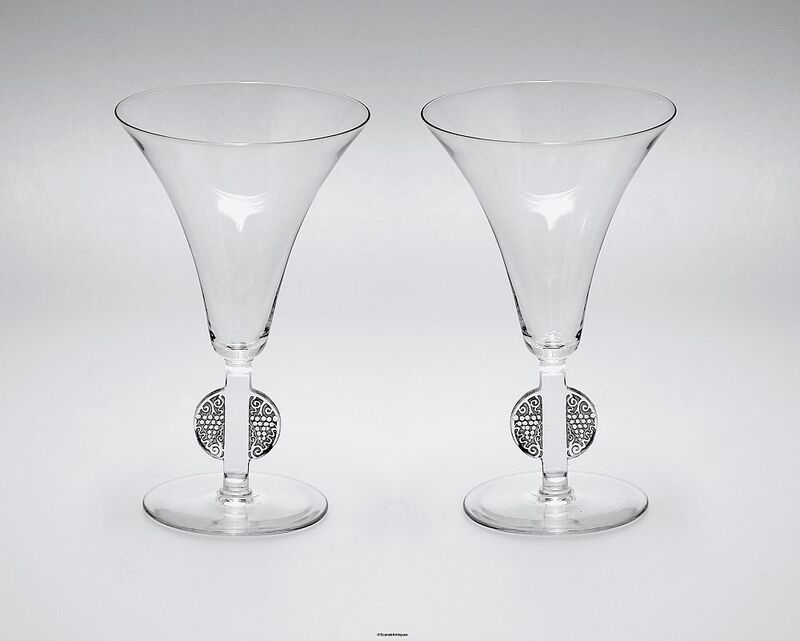 Made by Rene Lalique each glass has a large round foot leading to a flat stem on each side of which are flat half moons decorated with bunches of grapes in relief on a grey wash below a broad tulip bowl. The pattern, known as Obernai, was introduced in 1926. 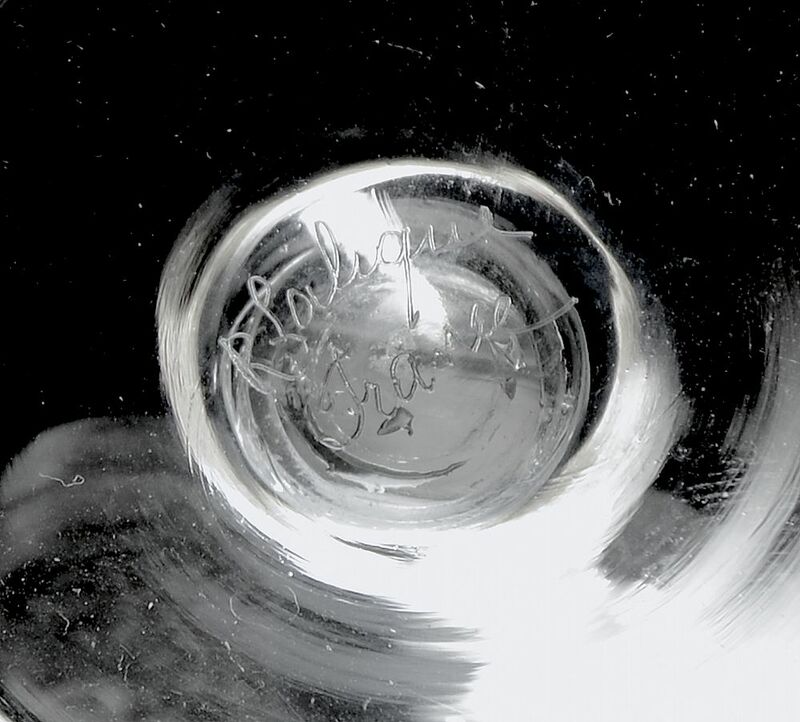 The underside of the foot is signed "R Lalique France". A delight from which to drink.